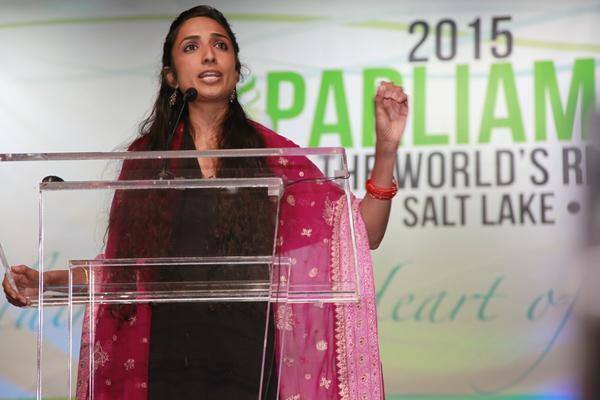 In response to the alarming escalation of hate in American life and politics, Valarie Kaur is developing a new project on the theme of “revolutionary love.” The project aims to turn bystanders into agents of change this election year and beyond. Currently in production at Seva Productions: a film, book, tour, and app. APPLICATION DEADLINE EXTENDED TO FRIDAY, AUGUST 5, 2016. We are also seeking Ambassadors — volunteers of all ages who are inspired to donate some of their time to support and promote projects in development. They will be part of a larger nationwide community of ambassadors for the upcoming Together Tour, where they will receive training, exposure, and access to tools and resources. No formal application required. Send an email with your name, phone number, city, and reason for interest: EmilyBaxtervk@gmail.com. Fellowship details and application instructions below. Questions? Email EmilyBaxtervk@gmail.com. Film and video editor to assist in the making and release of independent documentary film projects and media curation. The editor will work part-time with Valarie Kaur, award-winning documentary filmmaker, lawyer, and founder of Groundswell Movement. The editor can be located anywhere with a preference for Los Angeles; most work will be conducted remotely. The position is ideal for a talented graduate student or professional seeking to work at the intersection of film and social change. The editor will gain experience working with a skilled team of filmmakers and advocates. For examples of types of projects, see http://valariekaur.com/film. Details on specific projects will be provided at the interview stage. Non-linear video editing skills required. Adobe Premiere or Avid Media Composer preferred. Ability to set up and maintain Youtube channels and other online video platforms. Ability to navigate online image, video and audio databases (Getty Images, Shutterstock, etc.). Ideal candidate would have access to a preferred (Premiere, Avid) non-linear editing system. This unpaid position offers a Fellowship position at Seva Productions. The position begins immediately and is initially for one year. Applicants should send (1) a statement of interest (not more than 500 words), (2) a short bio, (3) resume, (4) links to two previous works, and (5) three references to EmilyBaxtervk@gmail.com by Friday, August 5, 2016. Writer to assist in research and editing for a book project as well as shorter pieces on social justice causes, such as hate crimes, religious pluralism, gun violence, media justice, and Sikh and Muslim American issues. The fellow will work part-time with Valarie Kaur. The fellow must be an outstanding writer. The position is ideal for a talented undergraduate or graduate student or professional seeking experience at the intersection of faith, media, and social change. The fellow can be located anywhere with a slight preference for Los Angeles; most work will be conducted remotely. Details on current specific projects will be provided at the interview stage. Researcher to perform in-depth research for a book and film project. The fellow will work part-time with Valarie Kaur. The position is ideal for a professional, graduate student, or exceptional undergraduate seeking to work with a dynamic team of lawyers and advocates at the intersection of law, media, and social change. The fellow can be located anywhere with a slight preference for Los Angeles; most work will be conducted remotely. Details on current specific projects will be provided at the interview stage. This unpaid position offers a Fellowship position with Seva Productions. The position begins immediately and is initially for one year. Applicants should send (1) a statement of interest (not more than 500 words), (2) a short bio, (3) resume, (4) links to two previous works, and (5) three references to EmilyBaxtervk@gmail.com by Friday, August 5, 2016. Digital campaigner to conceive and implement social action campaigns on interfaith engagement. The fellow will work part-time with Valarie Kaur. The position is ideal for a professional, graduate student, or exceptional undergraduate seeking to work with a dynamic team of advocates at the intersection of law, media, and social change. The fellow can be located anywhere with a slight preference for Los Angeles; most work will be conducted remotely. Details on current specific projects will be provided at the interview stage. Web and graphic designer to develop sites by planning and executing design; maintaining and upgrading service. The fellow will work part-time with Valarie Kaur. The position is ideal for a professional, graduate student, or exceptional undergraduate seeking to work with a dynamic team of advocates. The fellow can be located anywhere with a slight preference for Los Angeles; most work will be conducted remotely. Details on current specific projects will be provided at the interview stage. Develop site content and graphics; designing images, icons, banners, audio enhancements, etc. Prepare site by installing and configuring server software; installing programming language using authoring and formatting tools; ensuring cross-platform compatibility; establishing links. Establish locatability by registering with search engines. Protect site by designing and installing security precautions. Maintain site appearance by developing and enforcing content and display standards; editing submissions. Administrative coordinator to assist Valarie Kaur to manage the team, coordinate the project, represent her on email and phone, and provide other vital logistical support. The administrative coordinator will work closely with Valarie Kaur to manage the project. The coordinator will have an opportunity to contribute to high-level engagement on faith and public life. The position is ideal for a talented undergraduate, graduate student, young professional seeking experience at the intersection of faith, media, and social change. The coordinator must be an outstanding writer and communicator. The coordinator can be located anywhere; most work will be conducted remotely. Details on current specific projects will be provided at the interview stage. Administrative Support: Provide essential logistical support to manage multiple projects, such as coordinating team meetings and updating the website. Serve as a sounding board. Communications Support: Respond to inquiries for Valarie Kaur via email (speaking invitations, interview requests, research questions, requests to screen films, etc). Represent Valarie Kaur on email and at events when she cannot attend. Research Support: Provide last-minute research support on an as-needed basis on issues including hate crimes, racial profiling, immigration, prison reform, women’s leadership. For any questions, please email Emily Baxter at EmilyBaxtervk@gmail.com.